For many Pecorino is a tasty Italian hard cheese and wine. For us it's our great value network smart card which gives you nearly unlimited travel on nearly all Centrebus services for just £25 a week. We want to make catching the bus quicker and easier. We want our existing customers to get the best value out of bus travel. And we want to get more people onto our buses. That is good business for us, good for you, and good for the environment. And that is just the start. You can buy your smart card from our website here. The card costs £26 to buy initially and then you can top up on the bus with the driver for £25 for a week's travel. When you first receive your card it will be pre-loaded with a weeks' worth of travel, which will be valid for 1 week from the first time you use you use the card. 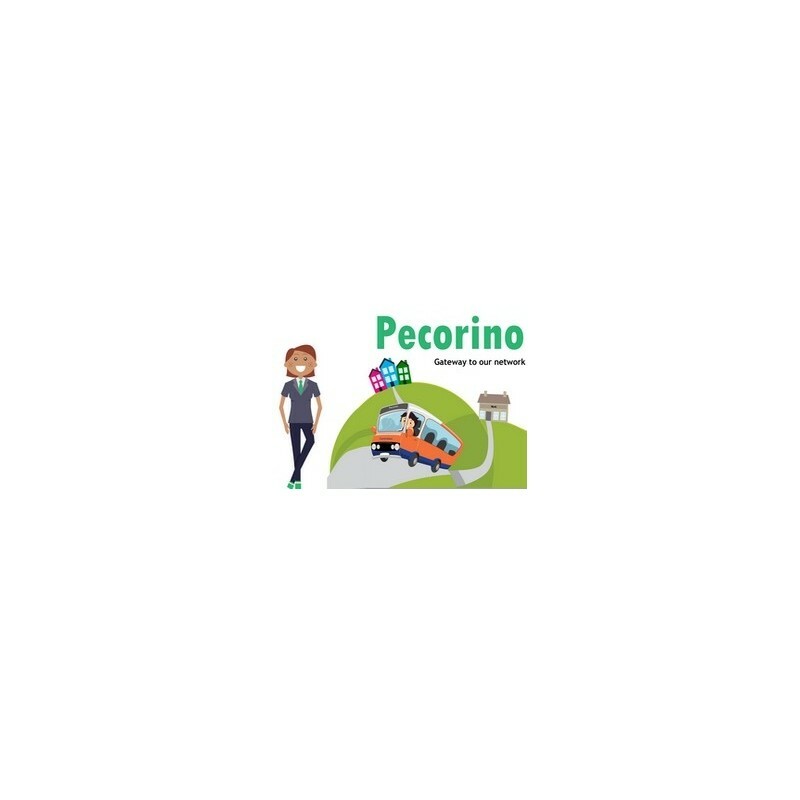 You can buy a Pecorino smart card online from our website here. You can use your card on most Centrebus services in our network, please see details of exceptions below. When you board, place your Pecorino smart card on the smart card reader (top of ticket machine) the machine will check validity, and give you a green light if okay. A ticket will be issued, which you will need to retain for the duration of your journey. Then just take a seat, and enjoy the journey. The Pecorino rules are available here. All travel is subject to our normal terms and conditions. You must be a member of our Travel Club to buy and use a Pecorino smart card, but your first year's membership is included in the prices quoted below. Not only will you save money, but getting on the bus will be quicker and you won't have to worry about change. You will also be enrolled in our Travel Club when you join (the first year's membership is included in the price), and that will get you 15% off standard single and return fares even when you are not using your pecorino smart card. The membership renewal in subsequent years costs just £10 (current price). How much does Pecorino cost? £26 from our online shop, and then £25 to top up. You get a week's free travel when you initially purchase the card.